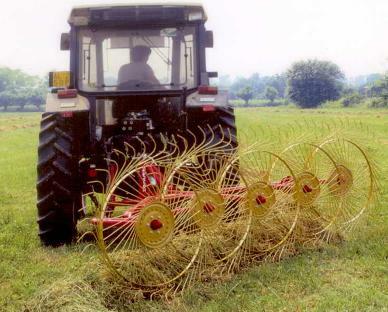 The Tonutti Mini Round-Baler has been designed for small farm and horse-breeder needs to handle bales easily by hand when needed. 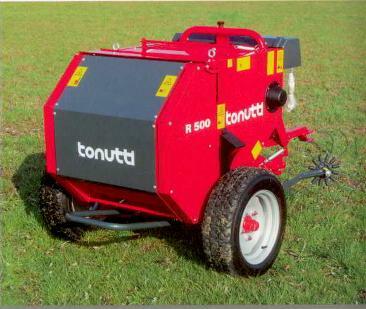 The Tonutti R500 can bale in hilly fields, where bigger equipment cannot. 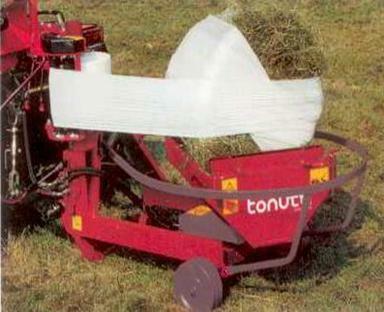 With the Tonutti Mini-Bale Wrapper FW 500, you can make your own silage. The wrapping System uses a three spindles system (developed and patented by Wolagri a Tonutti Company) to provide a uniform wrap for optimal fermentation and preservation of the forage, keeping. Water/oxygen out of the bale.